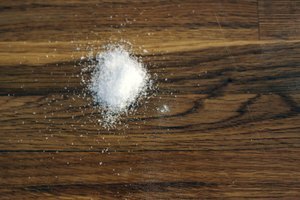 You're likely familiar with several varieties of salt — sea salt, bath salts, table salt — but unless you're a chemist, anhydrous salt is probably a foreign substance. The term "anhydrous" itself gives you your first clue. "An-" is a prefix for "without" and "hydrous" indicates water. In other words, anhydrous salt is completely dehydrated, unlike the salt you sprinkle on your mashed potatoes. 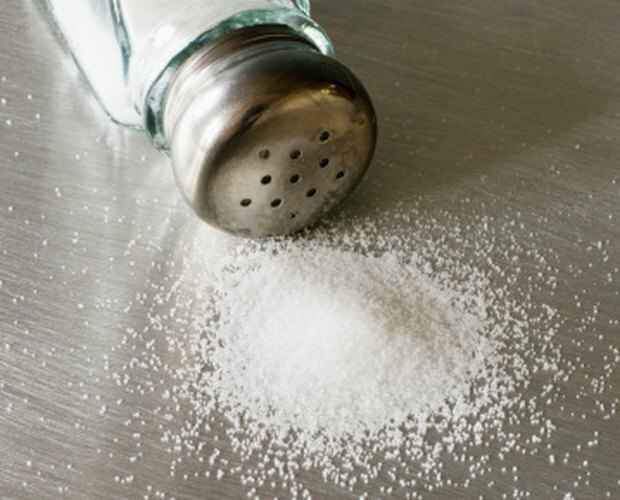 There are several types of this waterless salt. The name and function of salt compounds change with the presence or absence of water in their crystalline structures. 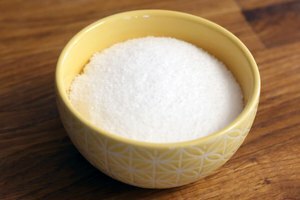 For example, sodium sulfate, NaSO4, is called anhydrous sodium sulfate when free of water, and is used as a drying material. That same compound in its decahydrate iteration is called "Glauber's salt," and is used to make glass. Without water bonded to its molecules, salt will usually absorb moisture it comes in contact with — hence its use as a dehydrating substance. 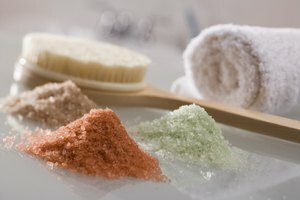 Salts are basically compounds of both a metal and non-metal substance. For example, sodium (metal) plus chlorine (non-metal) equals NaCl, or sodium chloride. Hydrated salts, or hydrates, contain a certain amount of water within their molecular structures. When you apply heat to these salts, water is released. This water is called the water of hydration, and without it, a salt is anhydrous. Because salt tends to naturally bind to moisture, anhydrous salt usually has to be processed. Calcium chloride, in its anhydrous form, has some very practical uses. As a drying agent, it can be employed to test how dry fresh concrete is. It can likewise measure humidity in air and vapor. Many industrial safe-checks use calcium chloride to measure erosion or cracks in a road. It can also aid in the formation of curds in cheese. Aside from its dehydrating capability, it can also be used in an aquarium to maintain calcium content within. 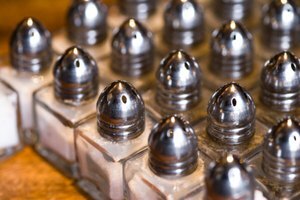 The removal of moisture in experimentation can be key, as that will often control side reactions or other unintended effects within the substances being tested. Drying agents such as Na2SO4 and MgSO4 can be used to dry organic materials. 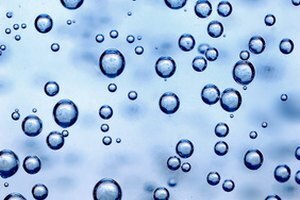 However, when these anhydrous materials come in contact with the water, the water is absorbed; it doesn't simply disappear. For this reason, such drying solutions are imperfect; traces of water can be left behind, and consequently, compounds can be considered contaminated. Matt Reichman is a journalist/blogger in Denver. He has written for the "BYU Daily Universe," the "Broomfield Enterprise," the "Provo Daily Herald," Gearlog.com, Appscout.com, and PCMag.com. Thanks to his unending curiosity and Twitter-sized attention span, Reichman has covered sports, music, local government, technology and nearly everything in between.